Caitlyn grew up in the small town of Lancaster, Kentucky. 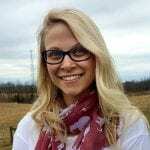 Caitlyn attended Bluegrass Community and Technical College and completed her Associates Degree before transferring to Eastern Kentucky University to obtain a Bachelor’s degree in Animal Studies. From a young age she has always wanted to work with wild animals, and learned about the PRC through her high school Chemistry teacher. Caitlyn completed an internship at the PRC in the summer of 2017, followed by a second internship in the Fall of 2017. Caitlyn joined the team as a Primate Caregiver in January of 2018, and she is excited to help in the rescue rehabilitation and recovery of all the primates in our care.